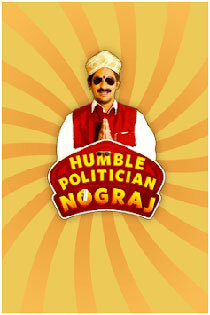 The film tells the story of Nograj, a narcissistic crazy politician who exploits a city and its resources. funny satire movie. well done Danish Sait. worth a watch. far better on many levels than run of the mill movies churned out in sandalwood. A good Kannada movie after a long time! Worth the watch. Dinesh Chait has done beautiful justice to the role. a family entertainer. the comedy is really good. Hilarious.It brings standard of current Indian politics under spotlight. A crazy guy and a funny story line! Worth a watch!! Super movie. Superb acting by the main character. My rating : Storyline = 4 , perf = 1 Poor scripting, very poor acting My english started faltering by the time the movie ended. Don't bother....Save your time and do something else.